Justin's Blog » Blog Archive » Free Gas . Man do I love Giant Eagle Fuel Perks. 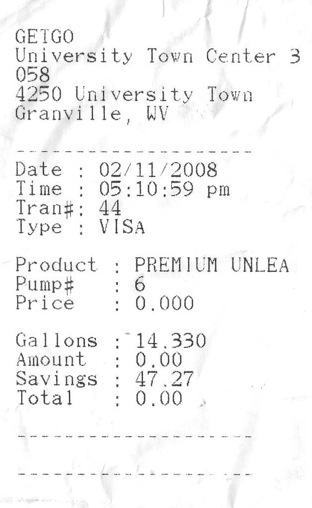 I filled up my Jeep with premium for free.